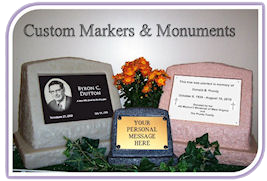 This 4″ high by 6″ wide Plaque is intended for use by the Memory Monument. If you are ordering the Commemorative Monument, please go back and select the 6.5″ high by 9.5″ wide Plaque. SKU: UMS. Category: Customer Designed.